We're expecting some big moves to still be made in the NBA, but no one saw this coming. The Phoenix Suns have made some big moves as they look to bounce back from an awful 2018 campaign that landed them the top pick in the draft. The roster already looks better than it did a year ago, but it's clearly not good enough for the Phoenix brass. 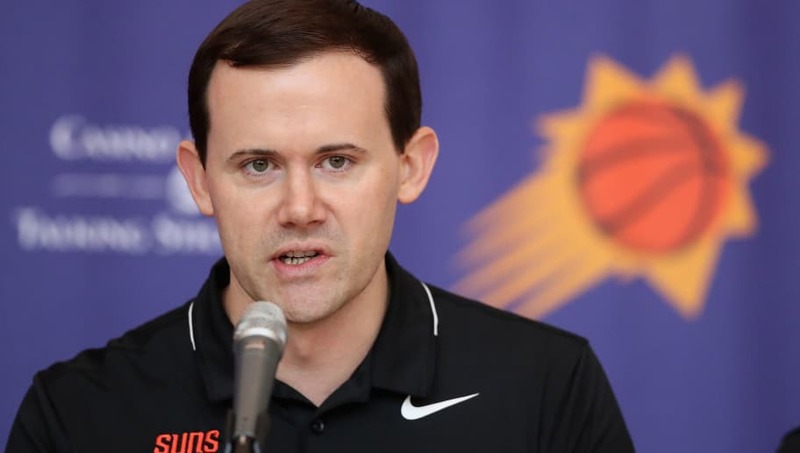 The Suns have announced they've fired GM Ryan McDonough. Let this be a lesson to you. It doesn't matter that the offseason is essentially over. You can't ever turn off notifications for Shams and Woj. Is McDonough without blame for the Suns' awful roster? No, as he has admitted he's made some mistakes including the choice to hire Earl Watson as the team's head coach. Moving on from him isn't the crazy part, it's the timing. The offseason is over, the moves have been made, and the team is pretty much set. Why wait until the season is basically underway to move on? Stunned by the timing of this: Suns announce they’ve fired GM Ryan McDonough. VP/Basketball Ops James Jones & assistant GM Trevor Bukstein will handle interim duties: Jones will manage basketball operations, Bukstein will be the primary contact for player transactions. This is an extremely stunning situation in Phoenix and one everyone has to look out for. Despite not being even close to the postseason picture, the Suns have tried to land some big names in the past. With Trevor Bukstein now at the helm, maybe the Suns can part ways with some of their talented youth in order to finally land a big fish. The fireworks aren't done in Phoenix just yet.